Professor Christopher J. Ferguson says he's willing to work with lawmakers to craft legislation that will actually have relevance to "children's media lives." 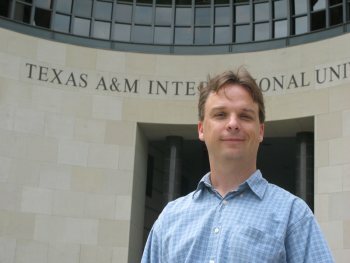 Christopher Ferguson has maintained a consistent message over the years regarding video game violence: Blaming games for causing violence is simply moral panic and distracts from real issues, as legislators, nervous parents and others relentlessly and single-mindedly pursue their efforts to prove that a causal link exists. He maintains that position in a new editorial, "The Great Video Game Moral Panic," in which he points out that Sandy Hook mass murderer Adam Lanza's early and oft-reported "obsession" with video games has proven to be "largely a hoax," but also offers to work with Massachusetts Senator William Brownsberger to come up with laws that will actually help address real concerns about media consumption. "Part of the problem is that almost all men under 40 now play VVG [violent video games], at least occasionally. So, if one is inclined, it's possible to link almost any crime committed by young males to VVG," Ferguson wrote. "This is about as meaningful as linking crime to wearing pants rather than dresses, growing facial hair, having testicles, or anything else almost all men do." Ferguson said he's spoken with Senator Brownsberger, who he describes as "refreshingly honest about the lack of clear links between violent video games and the Sandy Hook case or violence more generally," about Brownsberger's Senate Bill 168. The bill would establish a commission to "investigate video games as a form of media and as a training tool," and of course "any connection... between killing games and actual violence, including rampage killings that have taken place since 1990." He's worried about the language in the bill and notes that commissions can be "stacked" to produce desired results, but added that he's willing to work with the Senator "on something less focused on worrying about non-existent links between VVG and societal violence, and perhaps something more akin to a calm educational campaign" related to tools that already exist, like game ratings and parental controls. "Whilst we debated VVG, we did nothing to address the issue of our country's woefully inadequate mental health system, of poverty or educational disparities," Ferguson wrote. "That is the risk of moral panics; they ultimately distract us from more pressing issues we really need to fix."